Hey everyone. I'm looking for a couple of board bags to suit narrow boards. I have a 10' x 28 longboard style and a 7,8' x 28 funboard style. 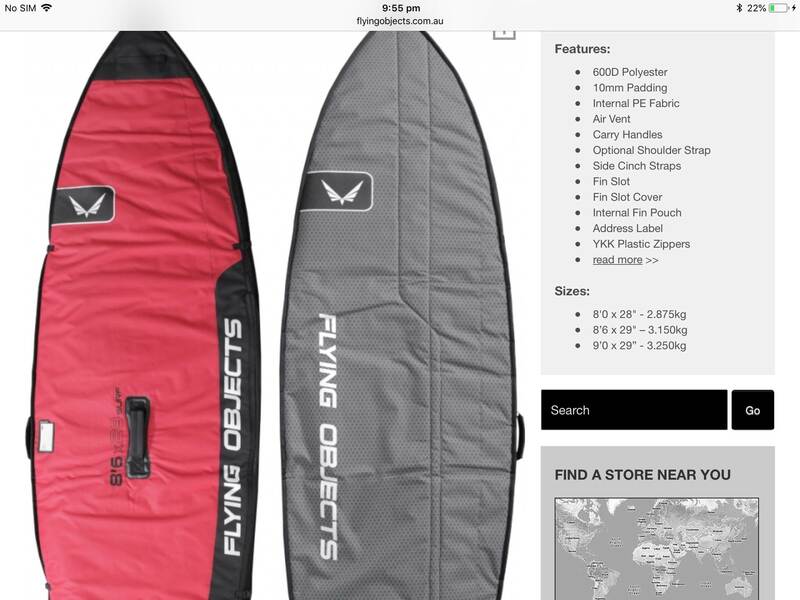 I've been looking for a while now and can't find anything to suit a 28" wide board. All the covers I've found are for 30" and wider. I don't want a cover that feels like the board is swimming in it. I also don't want to pay an arm and a leg for a custom cover either. If anybody has any ideas that would be awesome.